'What will it take for Tesco to take their responsibilities seriously? That is the question Battle Councillor Sarah Hacker will be asking Reading Borough Council and Tesco. She said: “In January this year Councillor Maskell emailed the council because of concerns he had about the maintenance and safety of the strip of land at the bottom of Chester Street. He pointed out that there was an accumulation of rubbish and fly tipping and damage to fencing caused by fallen tree parts, which suggested the trees are not safe. He asked if anything could be done to get Tesco to clean the area up, clear the shrubbery and make the area safe. That was nearly six months ago. “I, like many others, use the connecting footpath from Chester Street to Tesco to do our shopping. It is not a very pleasant walk as thick undergrowth and low tree branches border the path. There the undergrowth is strewn with litter, fly tipping and the occasional Tesco trolley. It really is a thoroughly unpleasant footpath to walk along. 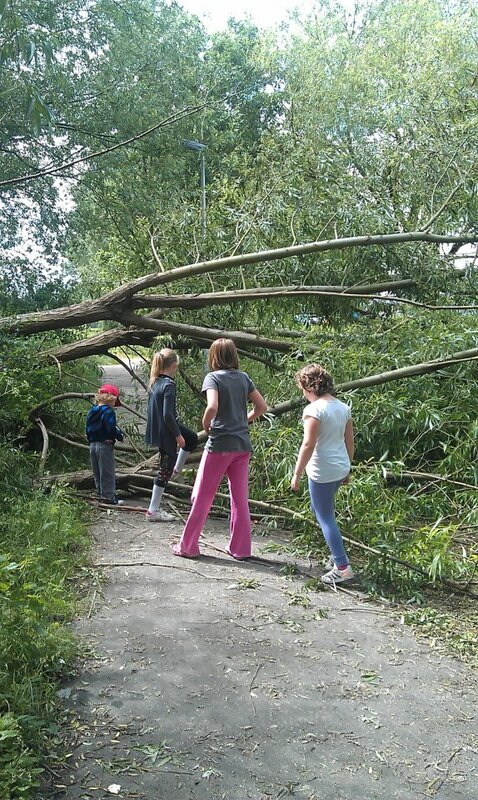 What is also a concern is that during the summer the footpath becomes hidden by overgrown trees”. Tesco are fully aware of their responsibilities yet appear not to be interested in maintaining that strip of land. At the request of Battle councilors Reading Borough Council has attempted to engage with Tesco in an effort to get something done but without success. Young mothers walking to Tesco with their children frequently use the footpath. It is very fortunate that when the tree came down no one was on the path. If the tree had fallen on anyone the consequences could have been tragic.